Tension between Iran and neighboring Afghanistan over water rights has reached new heights as declining rainfall, prolonged droughts, and mismanagement of water resources have severely affected agricultural production, food security and availability of drinking water in both countries. Tehran has warned of retaliatory actions if Kabul does not allow sufficient water into Iran’s water-stressed southeastern region, while Afghan officials accuse Iran’s Revolutionary Guards of aiding Taliban militants to sabotage dam projects in southern and western Afghanistan. Tehran has strongly objected to a recent Afghan government plan to build dams near the Iranian border. The Afghan government says it is adhering to a water sharing agreement signed between the two countries in the 1970s but stress that the construction of dams is necessary to manage the country’s depleting waters more effectively and help its struggling farmers. According to the Afghan government, the country’s agricultural output has declined by 45 percent this year, mainly due to increasing water shortage. In a lengthy interview with Iran’s Islamic Students News Agency (ISNA), Afghanistan’s Ambassador to Tehran, Nasir Ahmad Noor, highlighted that Afghanistan has suffered a 60 percent decline in rainfall. He added that Tehran and Kabul have reached an understanding on the broad parameters of water sharing arrangement. But a war of words continue over the issue between officials of the two countries. Tehran wants the Afghan government and donor countries helping with dam construction in Afghanistan to consult with Iran before planning any new dams that may impact the flow of Afghanistan’s waters into Iran – a suggestion Kabul and donor nations like India have rejected. Iranian officials and media outlets predict that tension over water between the two neighbors will only exacerbate as water scarcity is worsening in the broader region. Iranian outlet Fararu this week echoed the concern, noting that Afghanistan “is actively seeking foreign assistance to build two more dams and increase the height of its existing dams”. Tehran has also warned Afghanistan of retaliatory actions. Iran’s Minister of Energy Reza Ardakanian said last week that the country has planned to suspend export of electricity to neighboring countries, including Afghanistan and Iraq, because of water shortage in the country. Water shortage and environmental challenges in Iran has reached crisis level lately and triggered antig-overnment protests in several regions of the country. Earlier this year, the top military aide to Iran’s Supreme Leader Ali Khamenei, Major General Rahim Safavi, warned that worsening water scarcity in the region could cause tension between Iran and its neighbors in the near future. “We do not want the use of military and hard power on this issue. We should use soft power and diplomacy to foster a common engagement,” he said during his speech, which may be read by some regional countries as a veiled threat. He pointed out that Iran shares water resources with 12 neighboring countries and emphasized that, as water problems in the region are getting worse, there will be either more cooperation or confrontation between Iran and its neighbors in the future. The former IRGC chief commander also cautioned that the presence of “foreigners” in neighboring countries – a reference to the U.S. military presence in Iraq and Afghanistan – could further complicate Iran’s engagement with neighboring countries over water arrangement issues. Last year, Iranian President Hassan Rouhani also accused regional countries, particularly Turkey and Afghanistan, of aggravating Iran’s water shortage and environmental problems by constructing major dams without prior consultation with the Islamic Republic. “We cannot remain indifferent to what is damaging our environment. The construction of several dams in Afghanistan – the Kajaki, Kamal Khan and Selma dams and other dams in the north and south of Afghanistan – impacts our Khorasan and Sistan and Baluchestan provinces,” he warned. The Afghan government was swift to respond to Rouhani’s remarks. Abdul Basir Azimi, the deputy minister of Afghanistan’s ministry of energy and water, rejected Rouhani’s allegations and emphasized that the Afghan government manages it water resources on the basis of the country’s national interests and international conventions. He added that Afghanistan’s economy is heavily reliant on agriculture and water management helps the country to boost its economy, reduce poppy cultivation and encourage Afghans not to leave the country. Azimi stressed that if Iran wants Afghanistan to be stable and prosperous it should not see construction of dams in Afghanistan as a threat and instead assist Kabul in such plans. According to Hayatullah Hayat, the governor of southern Helmand province, the IRGC has provided the Taliban with sophisticated weapons to disable some of the nation's dams so that Tehran could get a larger share of water from the Helmand River. Similarly, Jamila Amini, the head of the provincial council of Farah, an Afghan province bordering Iran’s Sistan and Baluchestan Province, accused the IRGC of increasingly aiding Taliban fighters to prevent the construction of Bakhtabad dam in the province. 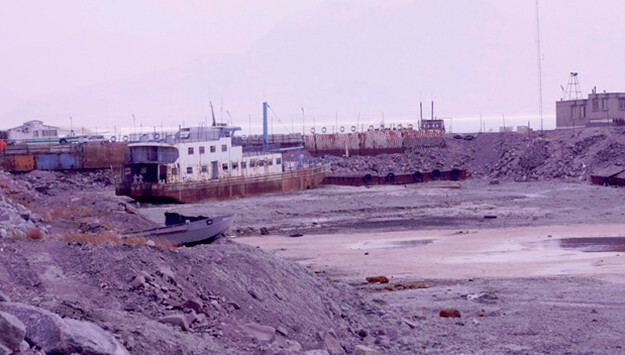 Sistan and Baluchistan has been grappling with worsening water shortages and Iranian officials have recently stated that the work on the second phase of the British-built Kajaki dam in Helmand is “extraordinarily worrying to Iran” as well. Iranian leaders blame neighboring countries’ water management policies, the presence of US forces in the region, and climate changes for Iran’s growing environmental problems, yet they largely overlook corruption and mismanagement in the country as well as wrong government policies responsible for the deteriorating crisis across the country, particularly in underdeveloped eastern and western provinces. Iran’s support for militant and extremist groups in the region has also contributed to the worsening water and environmental issues.